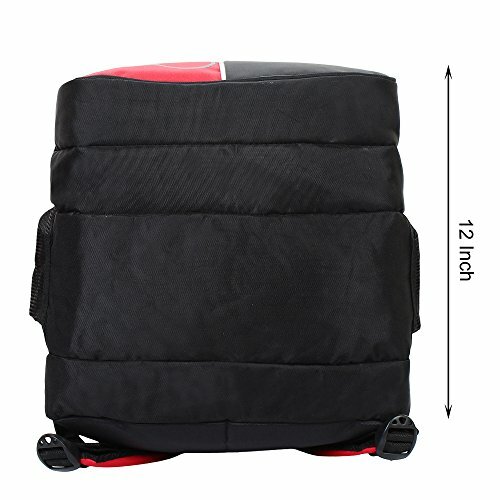 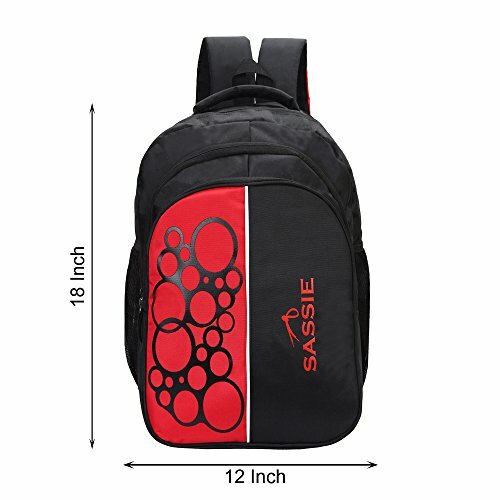 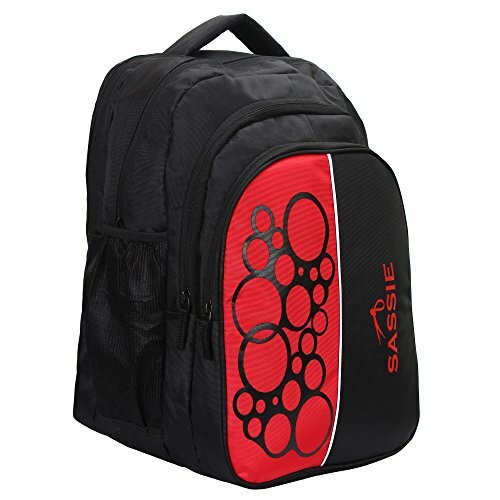 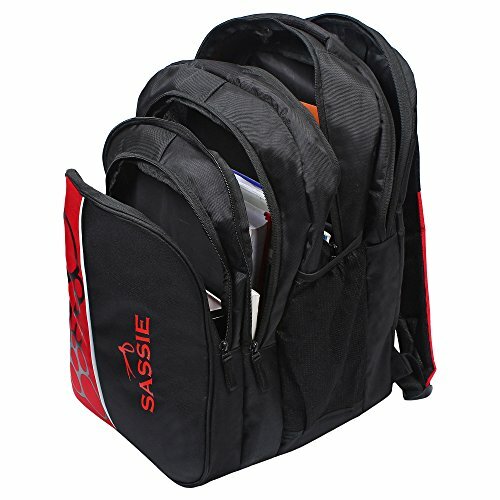 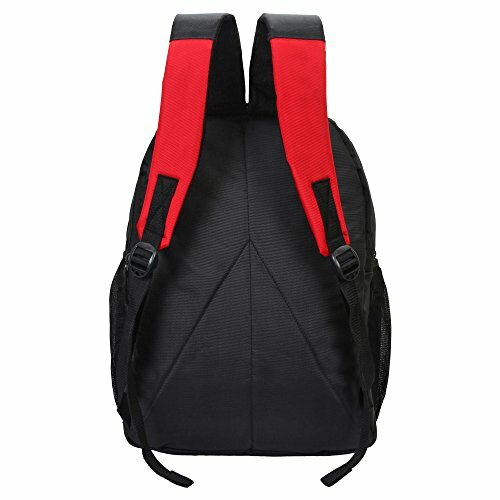 Sassie 41L Black & Red School Bag & Travel Backpack with 4 compartments (SSN-1080) price comparison, highlights, specifications, and images to know the product. 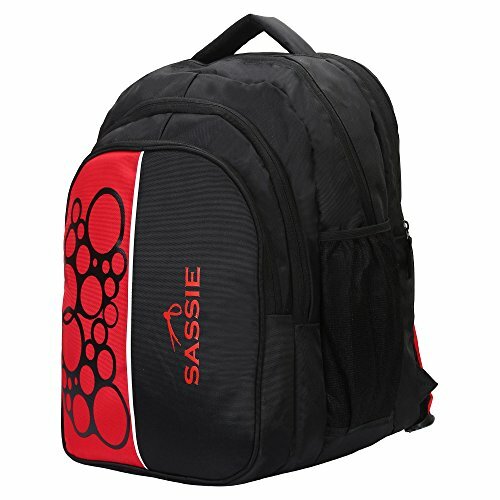 This smart bag from Sassie is light trendy and tough^. 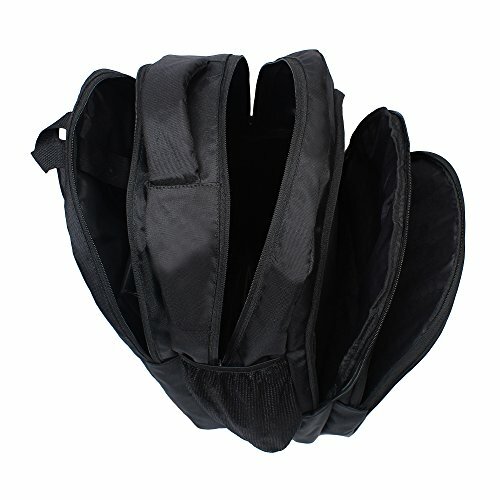 The straps are designed to reduce the weight off the shoulder. 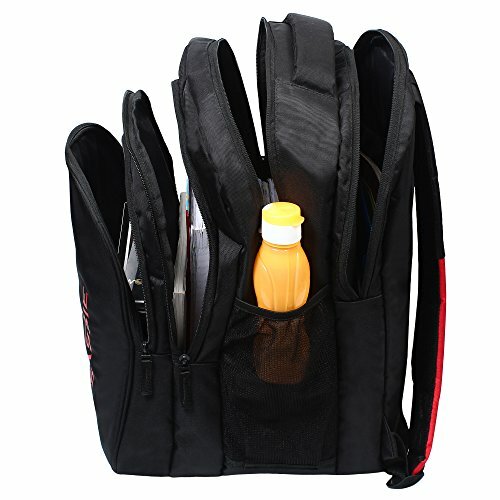 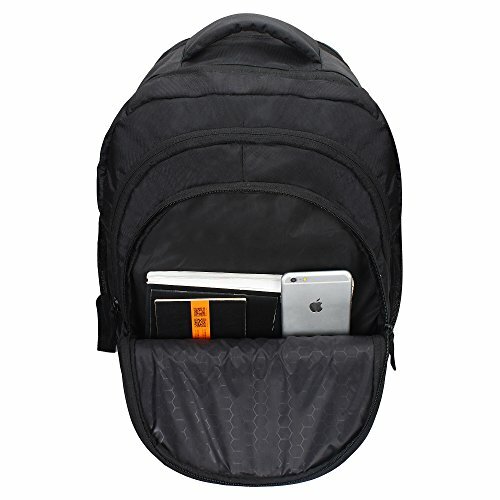 There are various pockets and compartments along with toughened zips to ensure maximum security and portability.^ It has 4 spacious Compartments, and 1 small inside Compartment for Laptop, 2 sides mesh pockets.